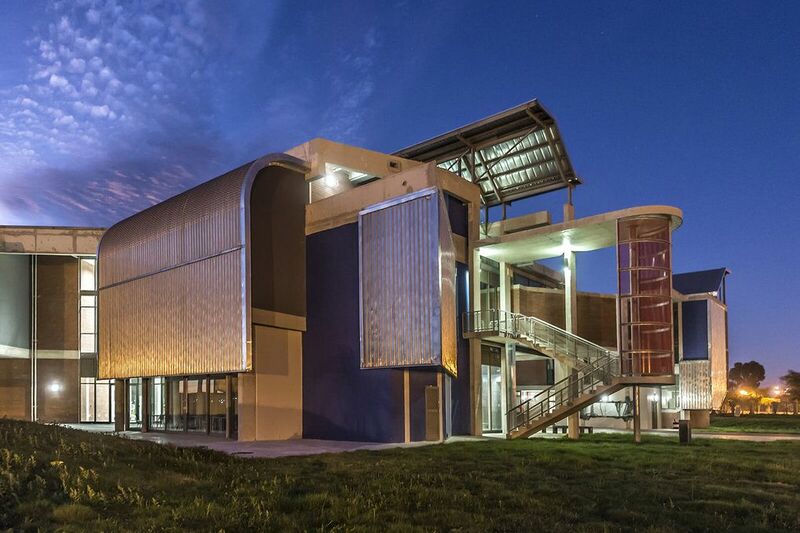 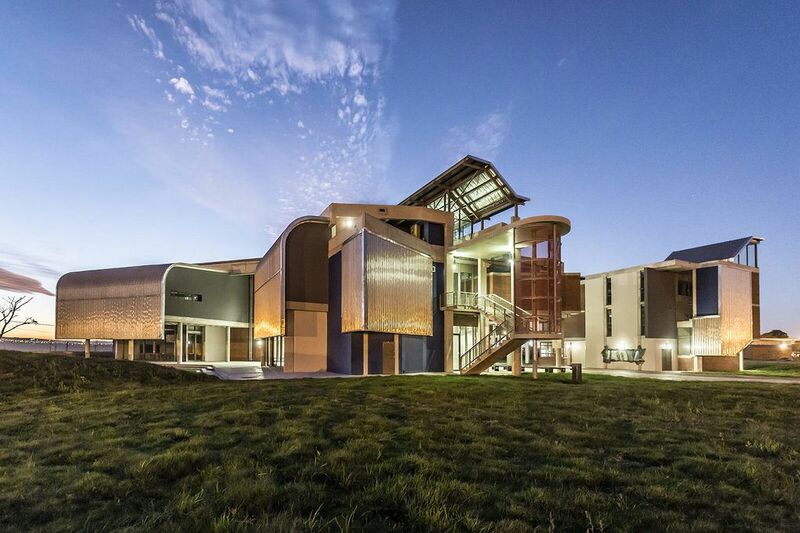 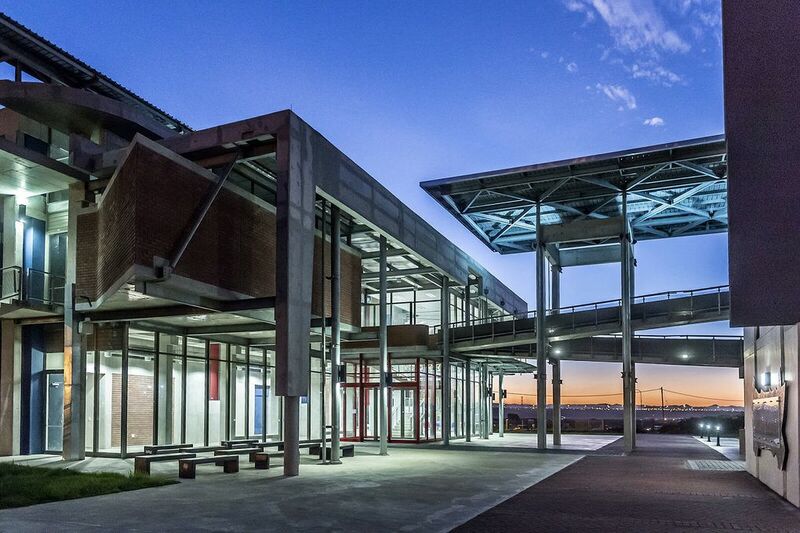 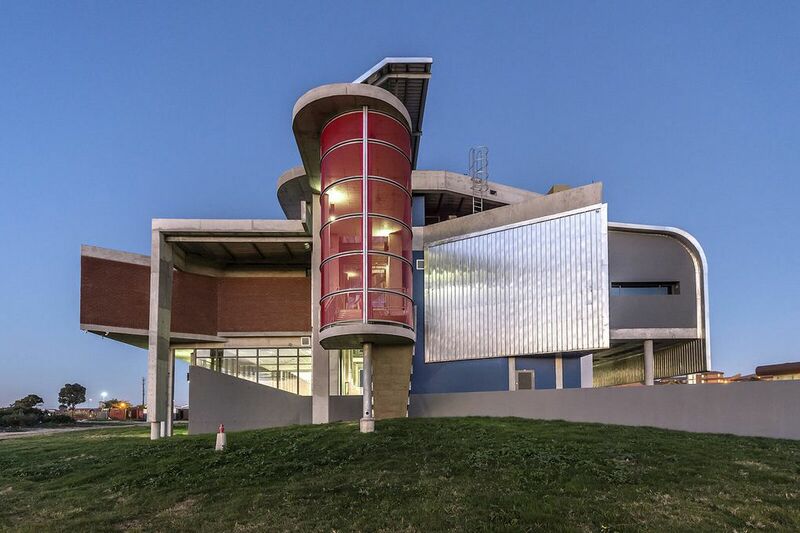 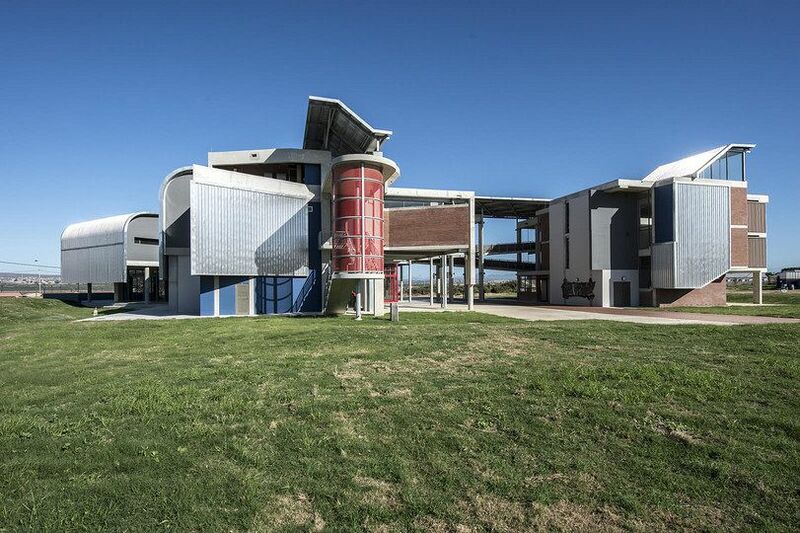 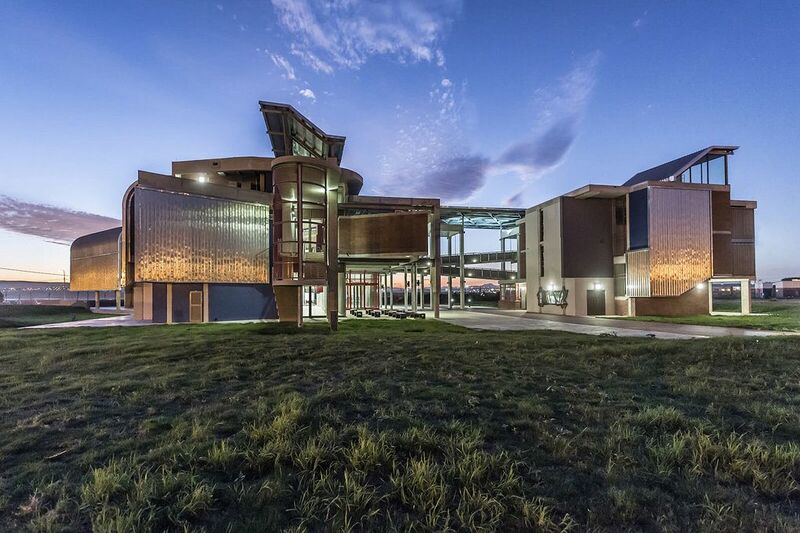 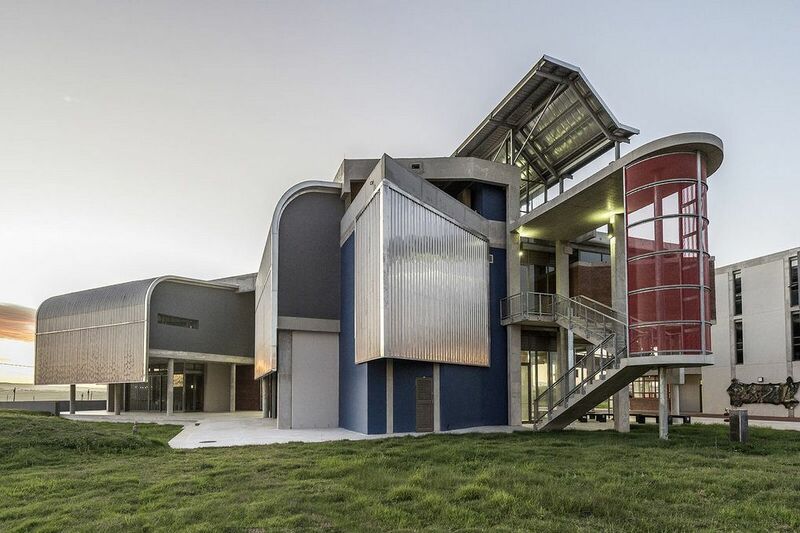 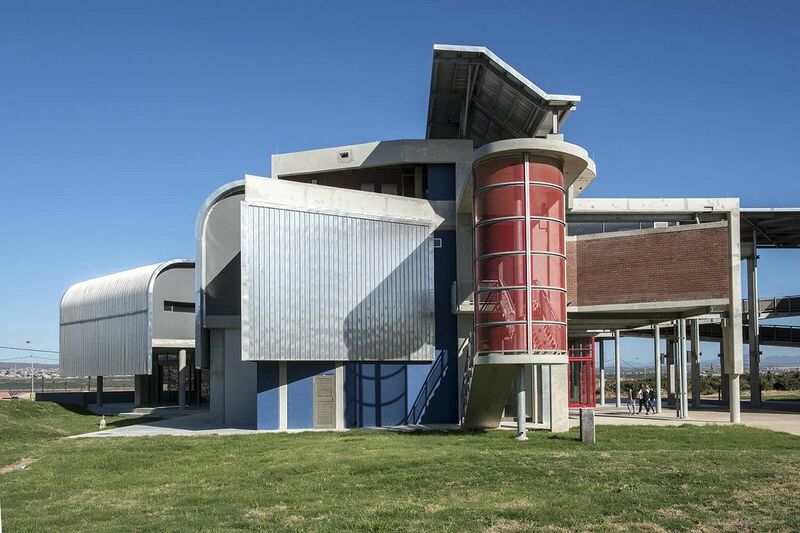 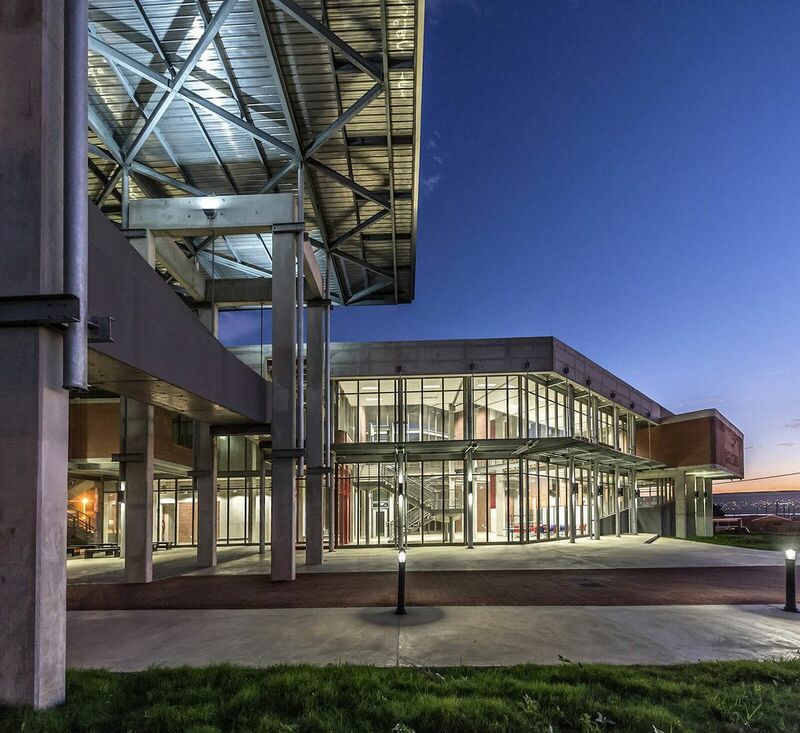 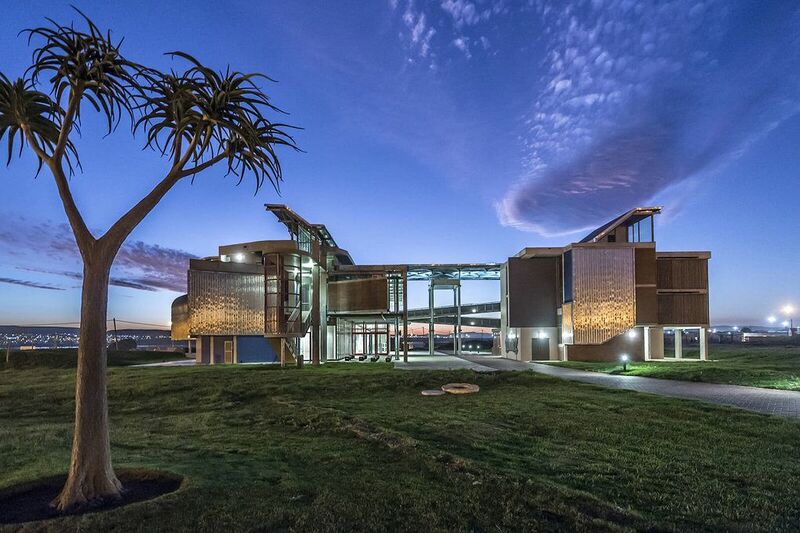 Located in Port Elizabeth on the Missionvale Campus of the Nelson Mandela Metropolitan University, the new B-Ed Foundation Phase building serves as a new pedestrian entrance and gateway of sorts into the heart of the campus. 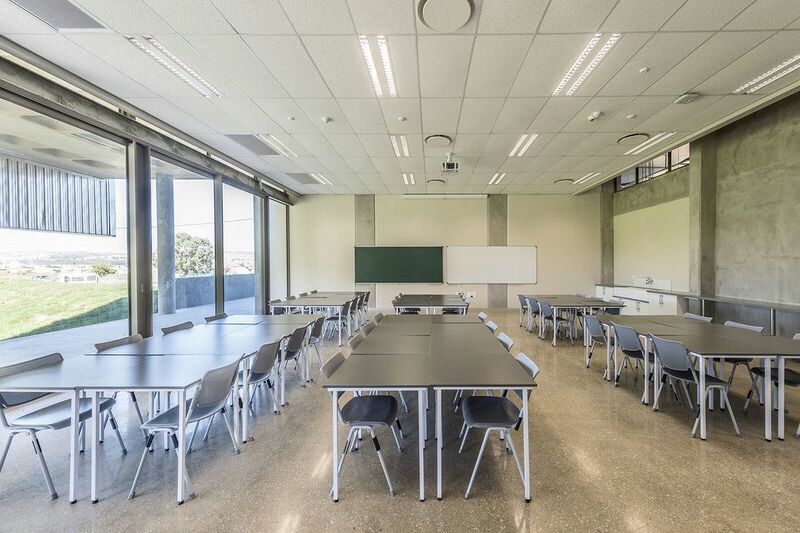 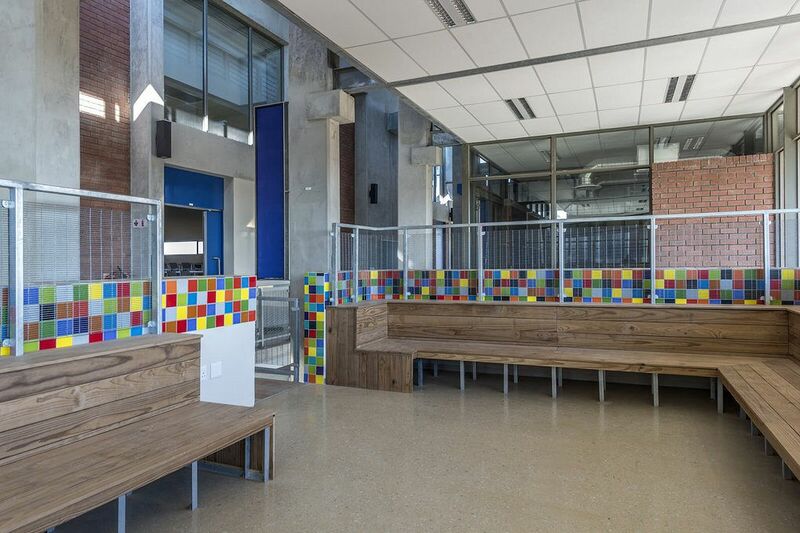 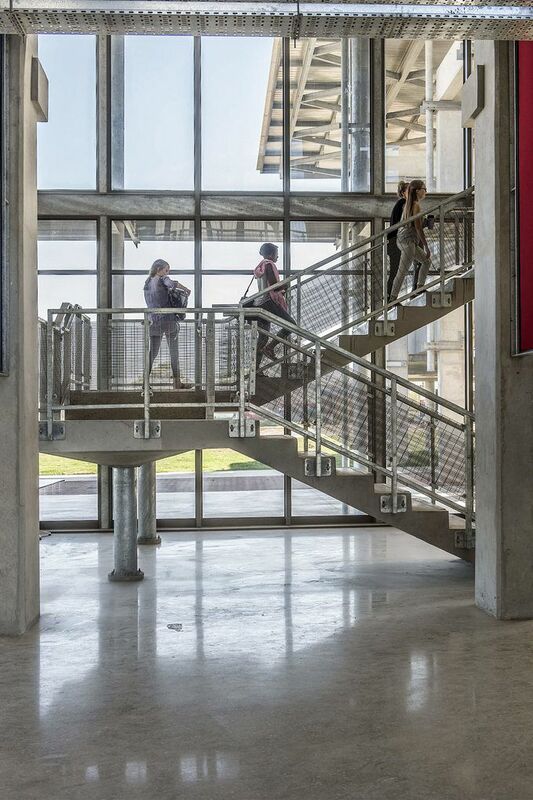 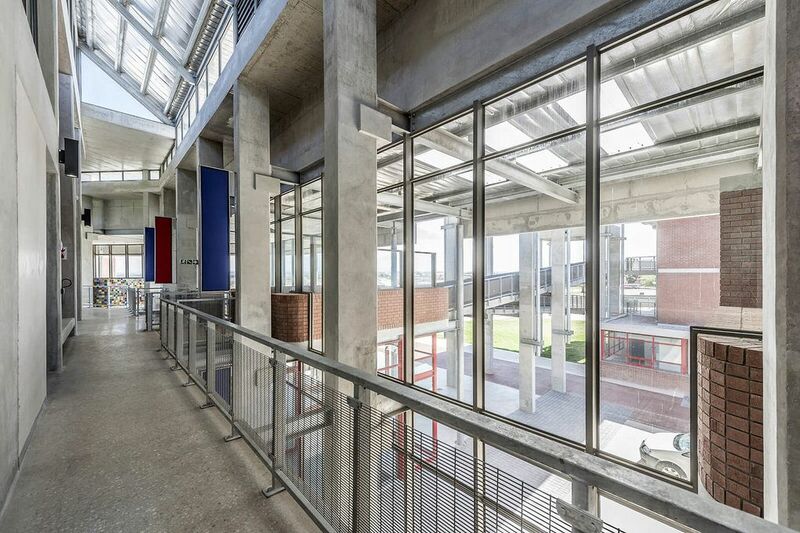 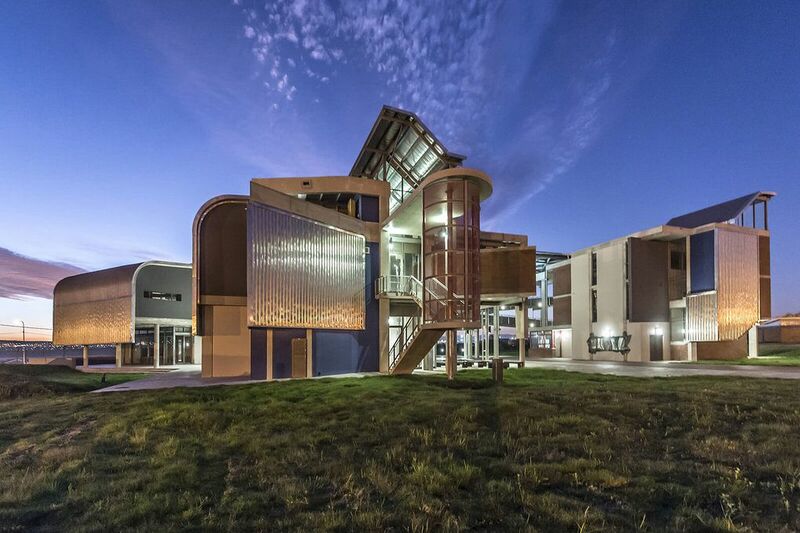 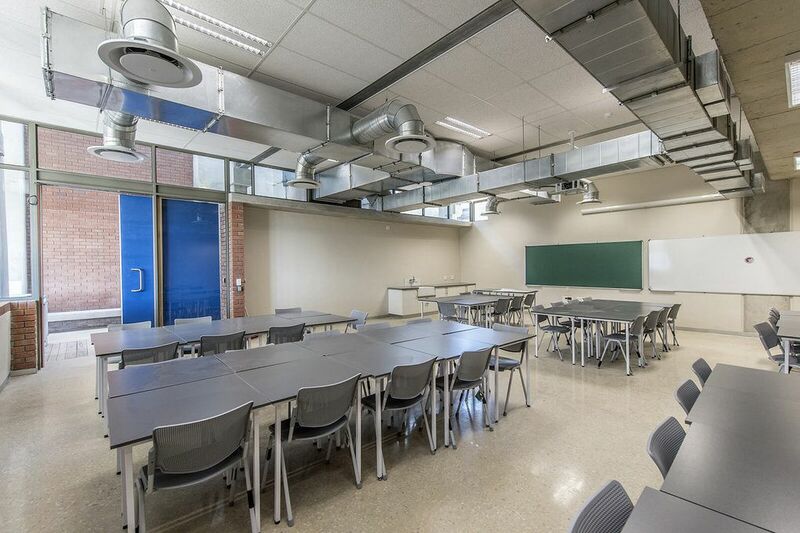 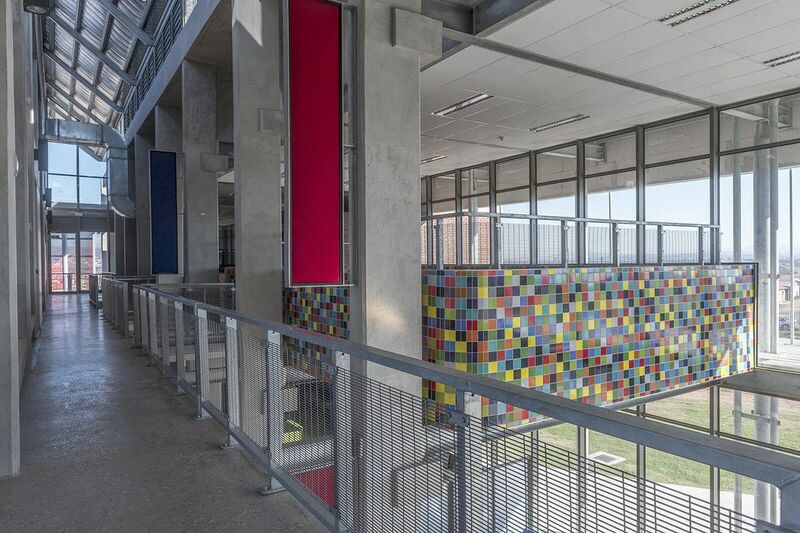 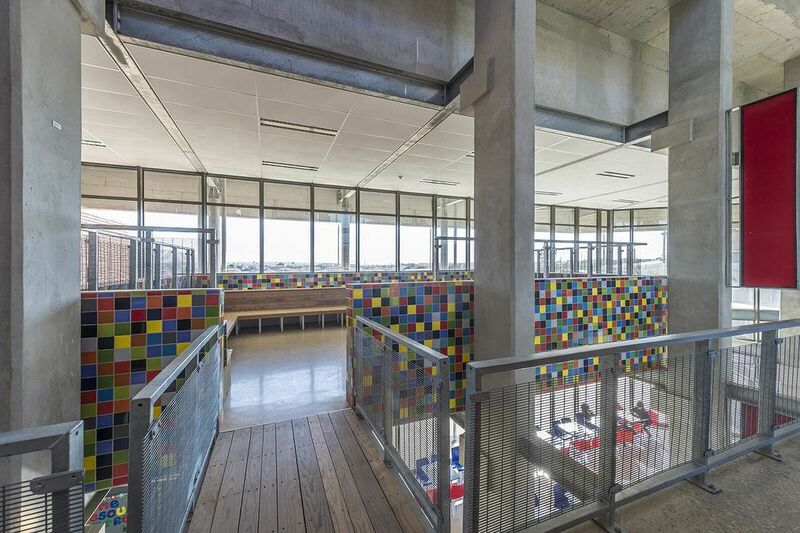 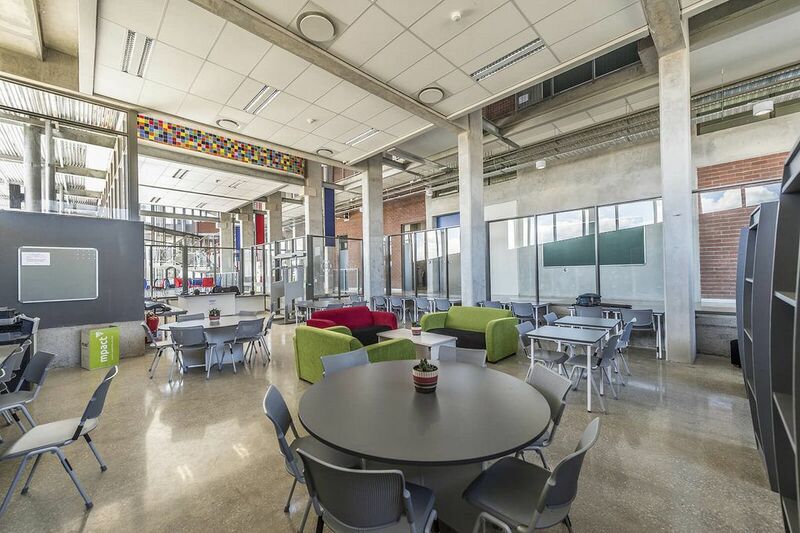 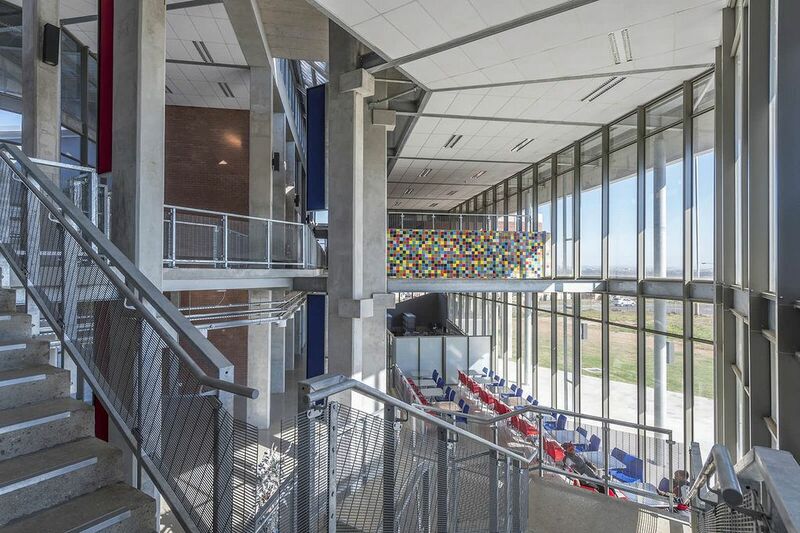 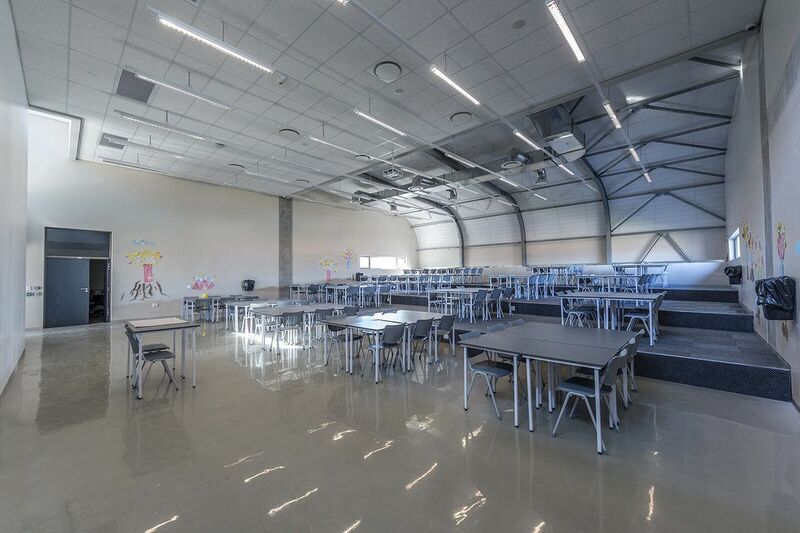 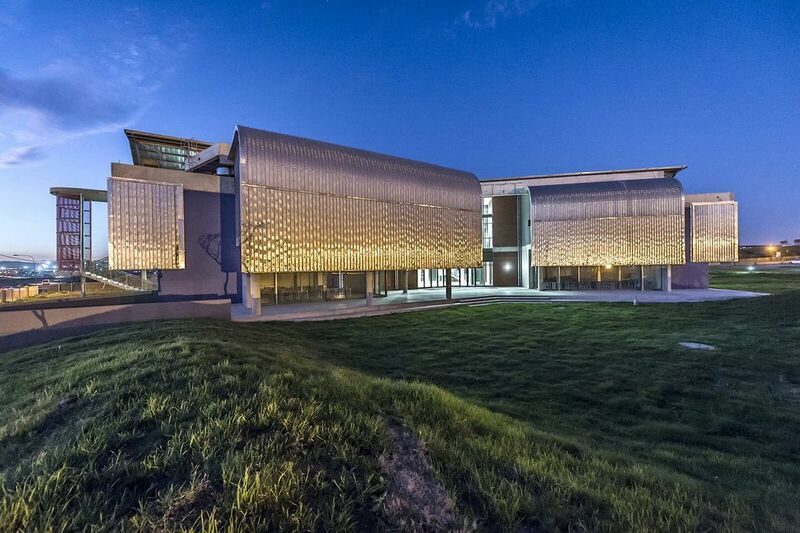 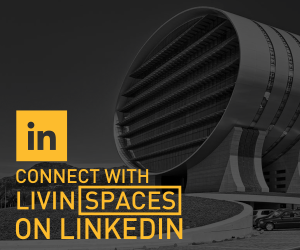 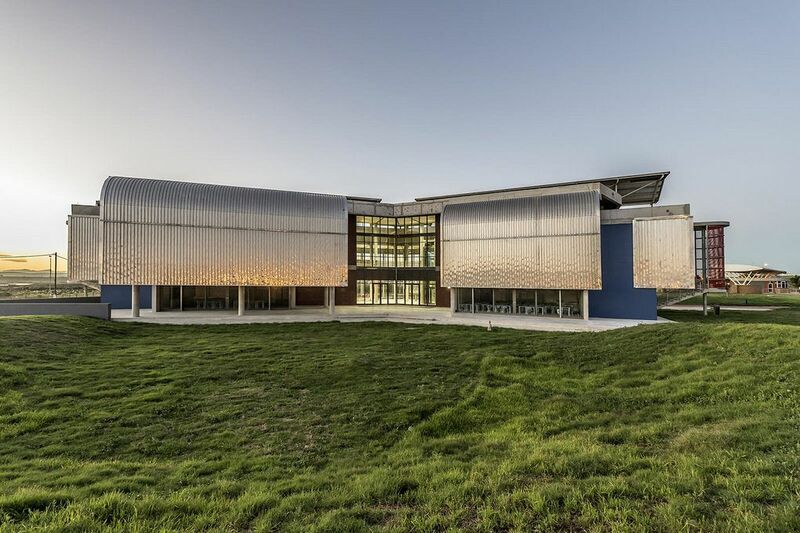 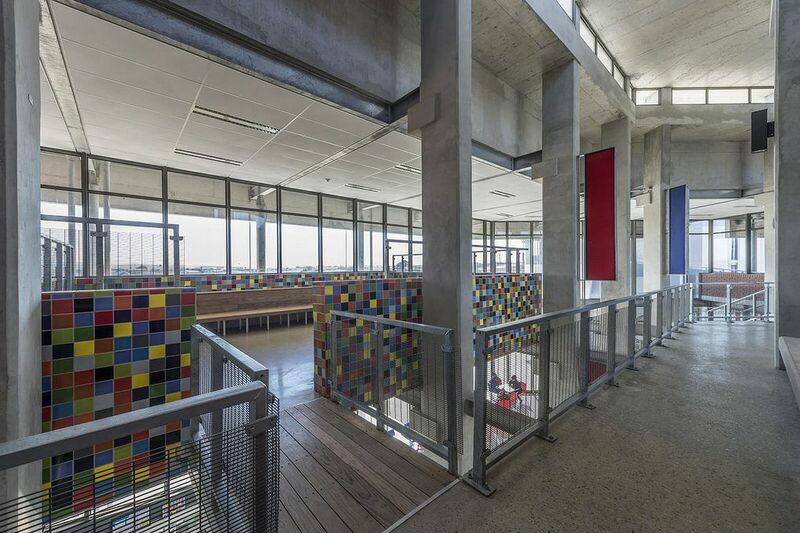 The R44 million (N1.1 billion), 2100sqm building complex offers two distinct blocks that cater to both students and administrative functions while maximising natural light and ventilation. 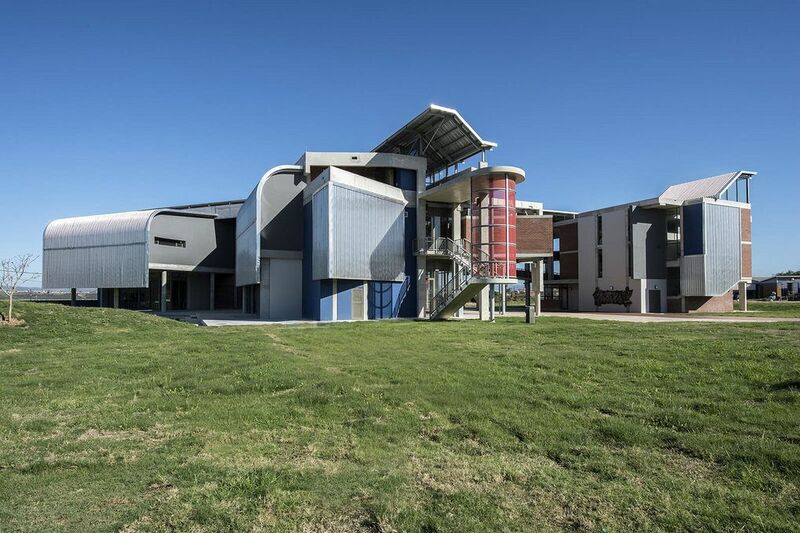 The design features a triple volume gallery/ atrium as well as generous verandas, external terraces and an embanked grass amphitheatre. 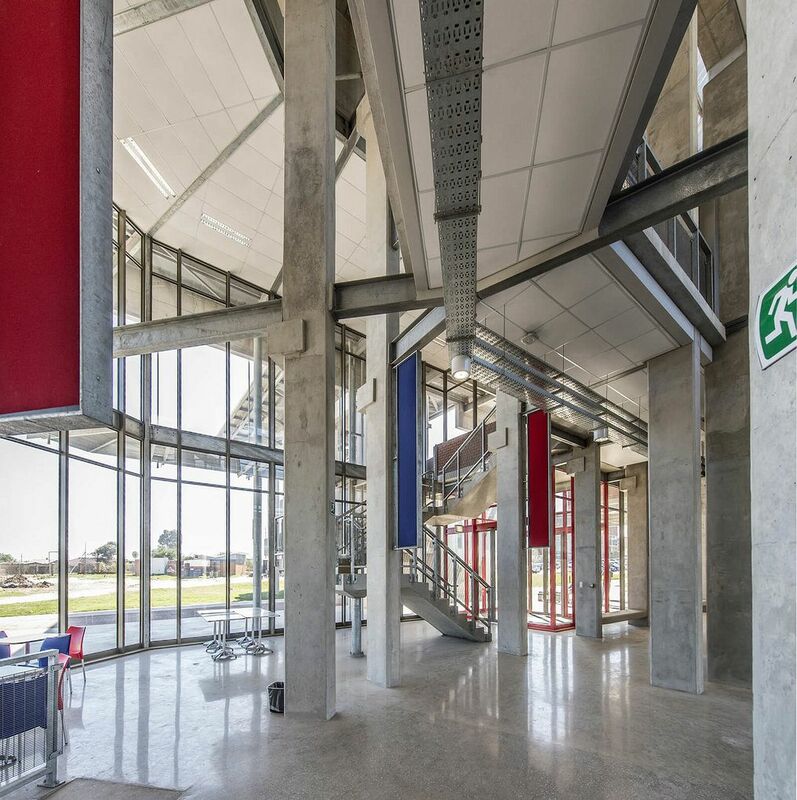 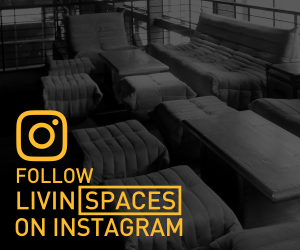 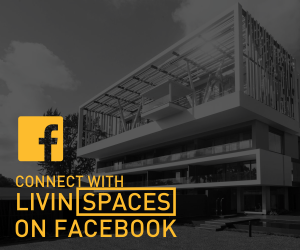 One of the most prominent features of the design would be the hanging fascia beam which spans over 60m along the entire length of the building and establishes the industrial aesthetic. 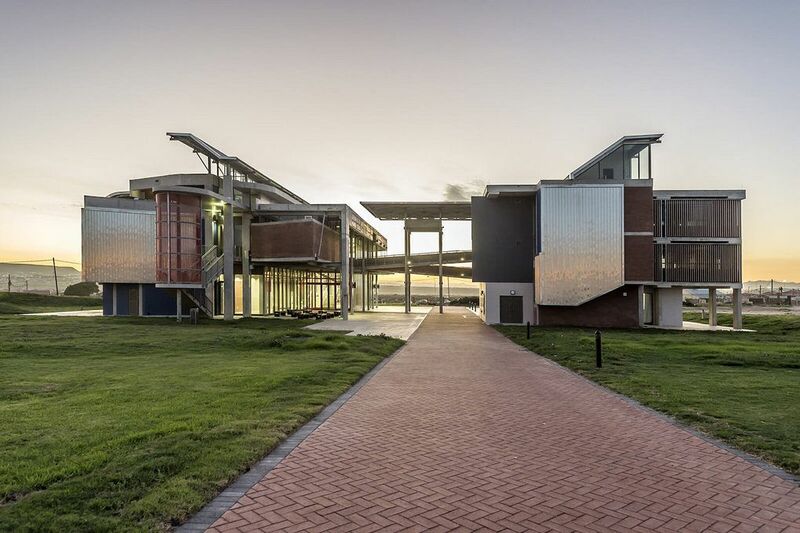 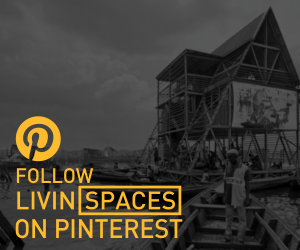 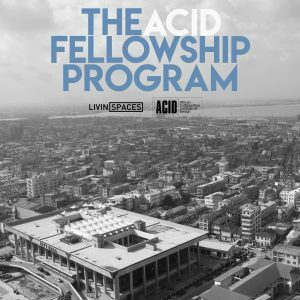 The competition was won by the Matrix…cc Architects & Urban Designers, whose scheme proposed a structurally playful building that reformed the previously fenced off connection with the local community through the creation of a public square. 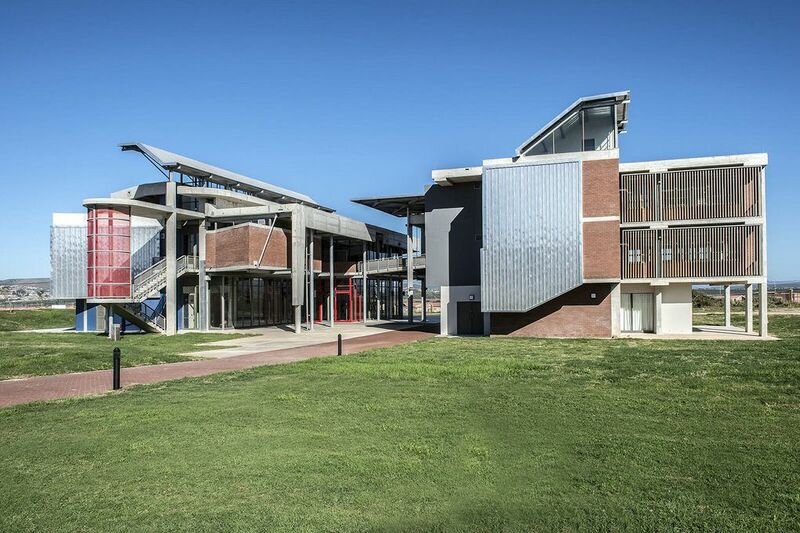 The inclusion of the building and greater campus into the surrounding context was one of the primary conceptual drivers. 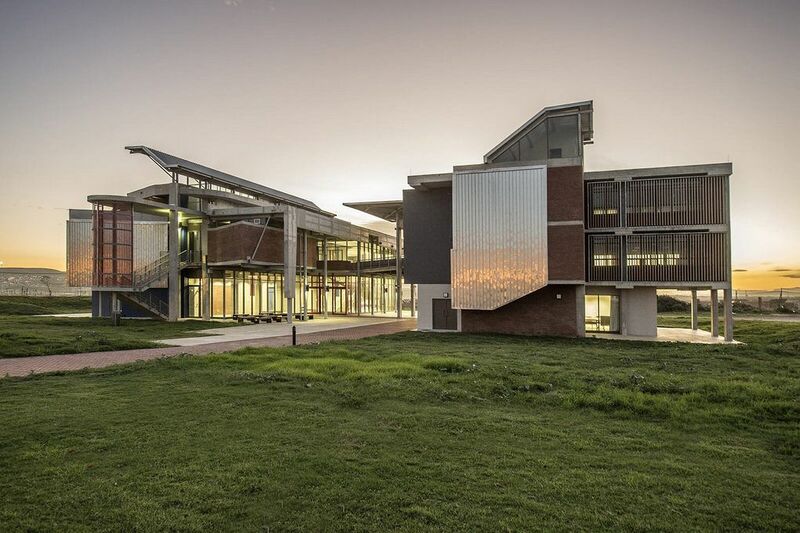 In establishing the spatial massing of the proposed site to hold the space, the design reinforces the creation of a strong pedestrian entrance, defined by the spire of the main administration building, accentuating the axial link between the square and campus. 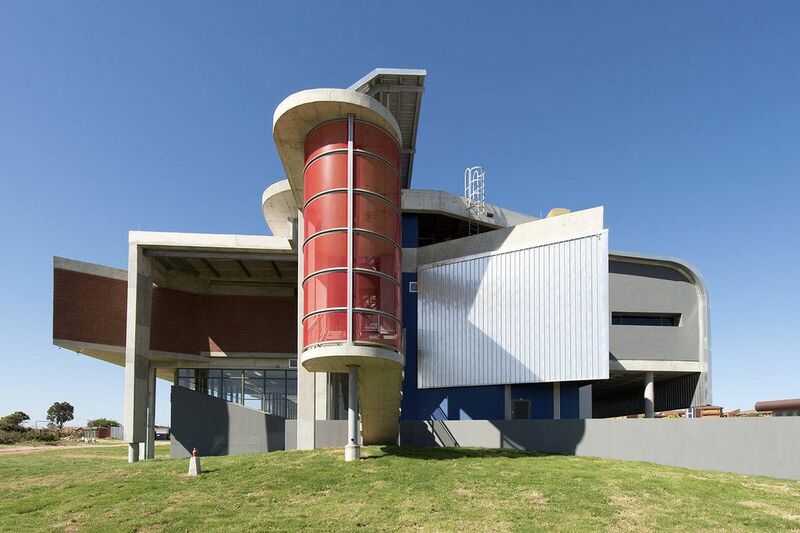 The creation of a new campus gateway resulted in the programme of the building being split in two, with a ‘Classroom Building’, consisting of central atrium and gallery space linking three levels of training facilities, lecture rooms and computer facilities, and an ‘Office Building’, which hosts the administration, security and staff facilities. 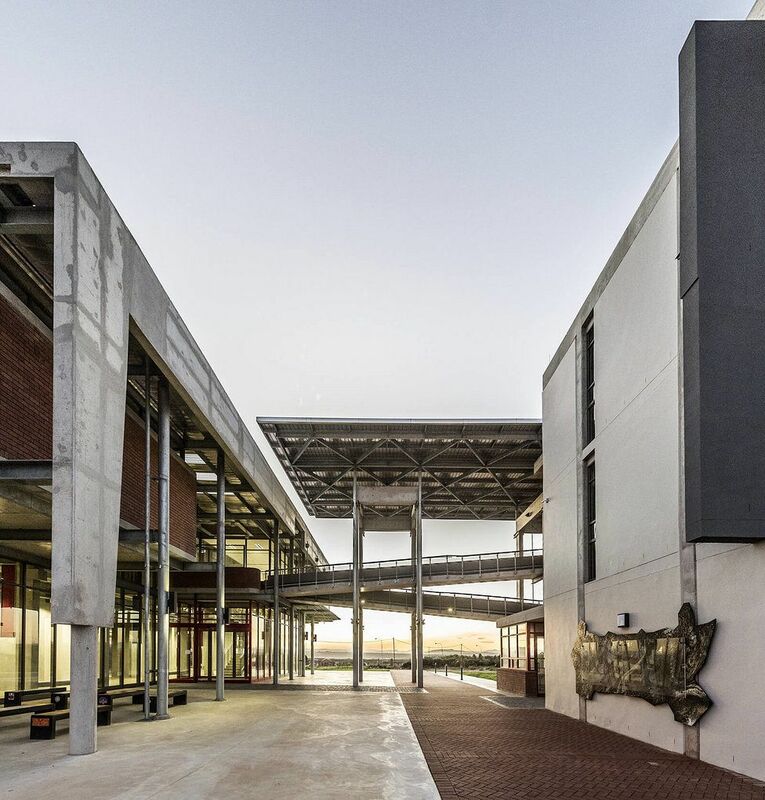 A grand entrance canopy, defining the gateway threshold into the campus and layering the transition between public spaces, visually and spatially links the two buildings. 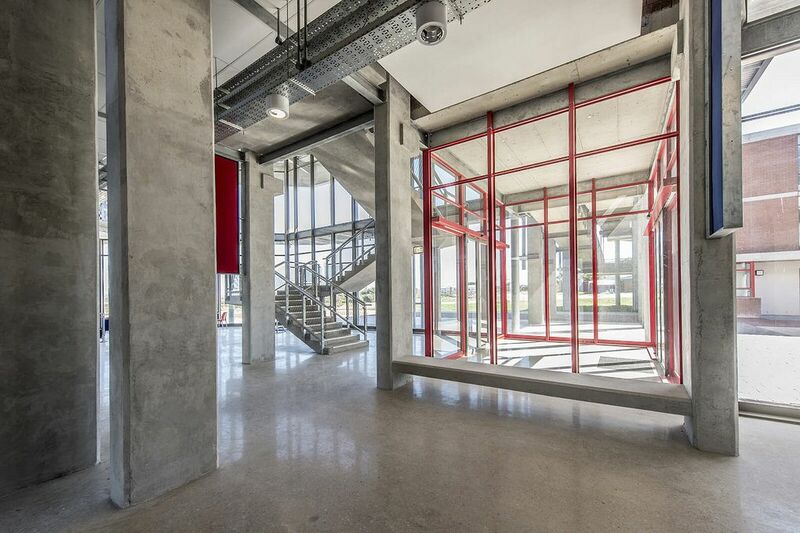 The orientation maximises natural light and ventilation, creating a bright and inviting atmosphere that permeates the triple volume gallery of the building. 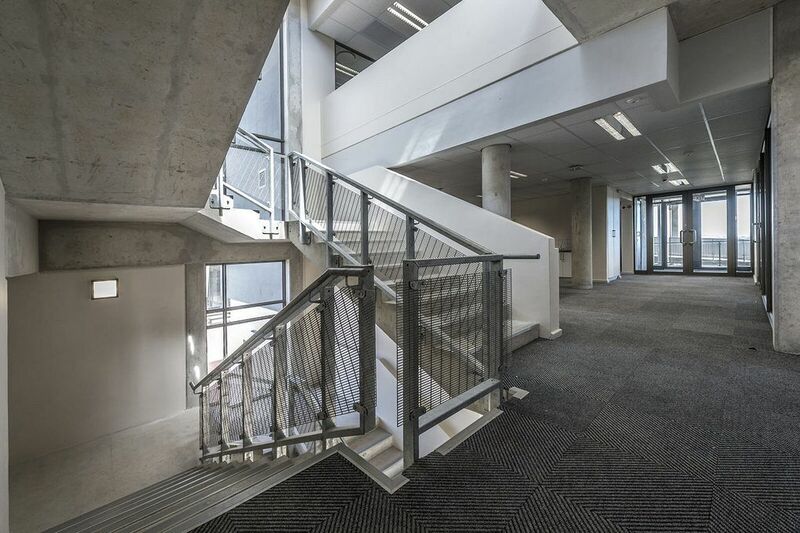 Serving as the central circulation spine, the gallery links the various classroom, training and computer centres with a range of communal spaces, conversation pits and a generous open atrium at the entrance. 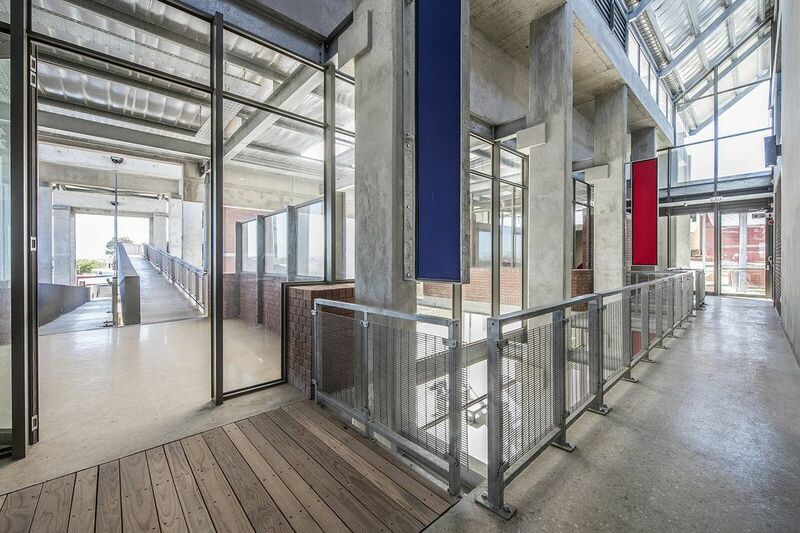 Much of the clarity of the structure, however, resides in the minimised palette of materials employed. 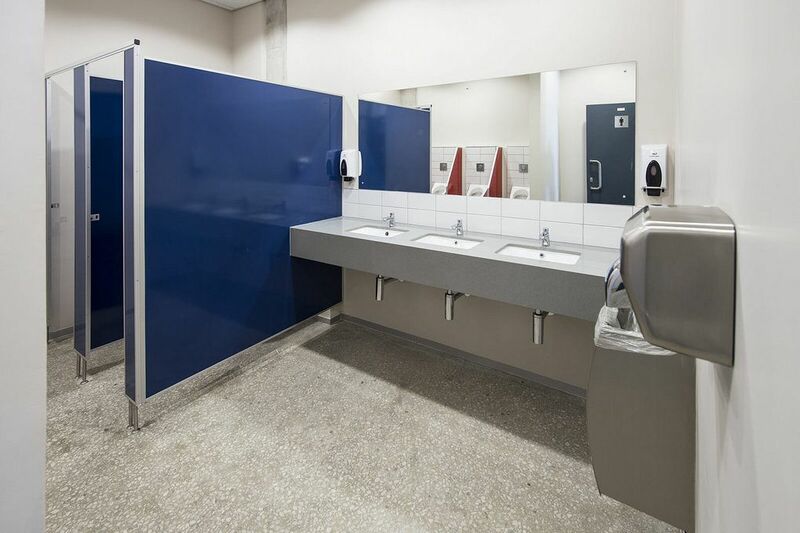 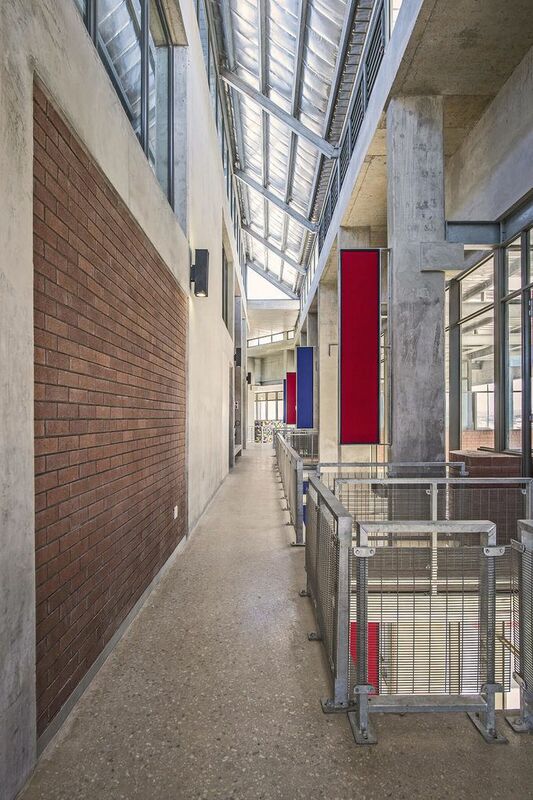 Guided by the original face brick design used throughout the Missionvale campus, the building limits itself to off-shutter concrete, face-brick and steel, with accents of painted finishes in the corporate red and blue colours of the NMMU.